WASHINGTON – Sen. Michael Bennet and U.S. Rep. Scott Tipton will introduce companion bills this week to protect the Hermosa Creek watershed in the San Juan National Forest. The bills seek to protect about 108,000 acres in the forest north of Durango. Bennet, D-Colo., introduced his legislation in the Senate on Thursday and Tipton, R-Cortez, could introduce his today in the House. 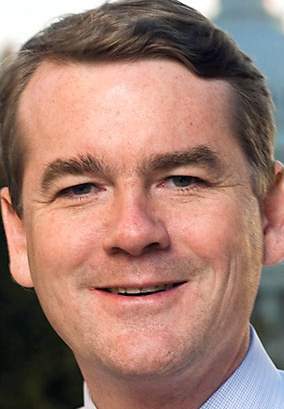 Sen. Mark Udall is a co-sponsor of Bennet’s bill. Bennet first introduced his measure in the 112th Congress in July. That bill died in committee. Tipton took up the legislation for the first time in this Congress, the 113th. Under the bills, much of the land would continue to be available for mountain biking, motorized recreation and selective timber harvesting, according to a news release. Grazing would still be allowed in the entire watershed. About 38,000 of those 108,000 acres also would be set aside as wilderness, which is the highest level of conservation protection for federal lands, according to the National Park Service. The bills came out of regional efforts to plan for the watershed’s future management. “It’s dear to a lot of people locally,” said Jimbo Buickerood, public lands coordinator for the San Juan Citizens Alliance. A diverse group of community members formed the Hermosa Creek Workgroup, according to Marsha Porter-Norton, a facilitator of the group. Lots of different people with different interests came together to answer, “what’s good for the entire watershed?” Porter-Norton said. At the request of the Durango City Council and La Plata County Commission, the bills include provisions to protect Animas Mountain, Perins Peak, Ridges Basin and Horse Gulch from future federal mineral leasing. 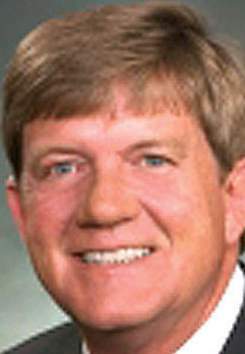 The Durango City Council and La Plata County Board of County Commissioners endorsed the bills in letters sent to the senator. “It’s critical that we preserve wilderness for current and future generations,” said La Plata County commissioner Gwen Lachelt. Wilderness is an important economic driver for the county, Lachelt said. “It will benefit the area and the region to have more wilderness and, especially, wilderness so close to Durango,” she said. Stefanie Dazio is a student at American University in Washington, D.C., and an intern for The Durango Herald. You can reach her at sdazio@durangoherald.com.